Spider silk has long held the record for being the strongest biomaterial on Earth — but that just changed. Scientists at KTH Royal Institute of Technology used wood nanofibers to create a new biomaterial that is even stronger than spider silk. Researchers “densified” wood to turn an already sturdy material into a “super wood” that is as strong as steel. To accomplish this, researchers aligned tiny cellulose nanofibrils (CNF) in the same direction to create tightly-packed little bundles. These bundles form a material that is super strong and could be used in everything from cars and planes to furniture. “This discovery is made possible by understanding and controlling the key fundamental parameters essential for perfect nanostructuring, such as particle size, interactions, alignment, diffusion, network formation and assembly,” said study co-author Daniel Söderberg. “The bio-based nanocellulose fibers fabricated here are eight times stiffer and have strengths higher than natural dragline spider silk fibers, generally considered to be the strongest bio-based material,” Söderberg said. 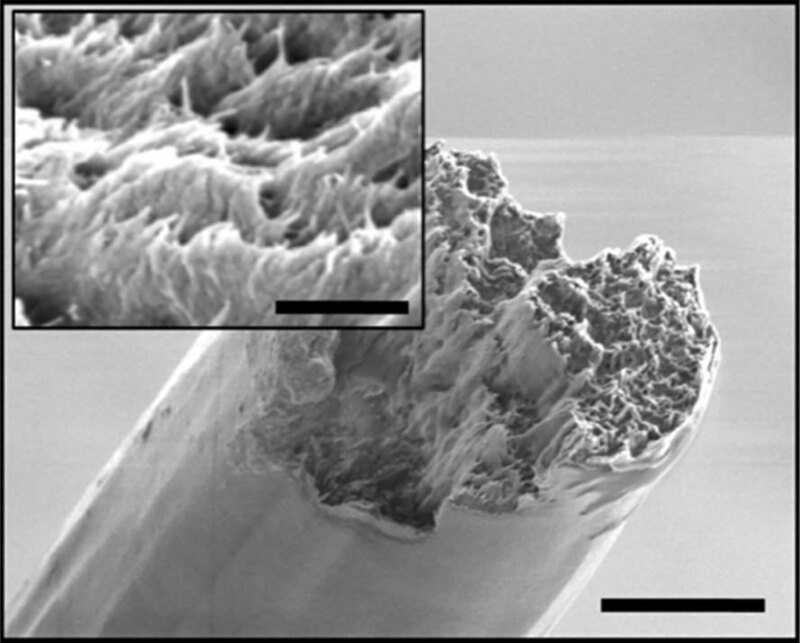 “The specific strength is exceeding that of metals, alloys, ceramics and E-glass fibers.” The study was published this week in the journal ACS NANO.